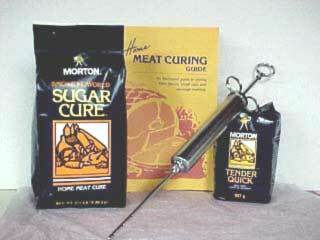 A fast cure, useful as a dry or sweet pickle cure, perfected for pumping hams and shoulders. Quickly produces flavorful cured meats. Can be effectively used as a dry cure, but is most frequently used for the purpose of pumping along the bone area in hams and shoulders providing a more uniform cure. Great for both fresh and frozen meats, and for making homemade salami.